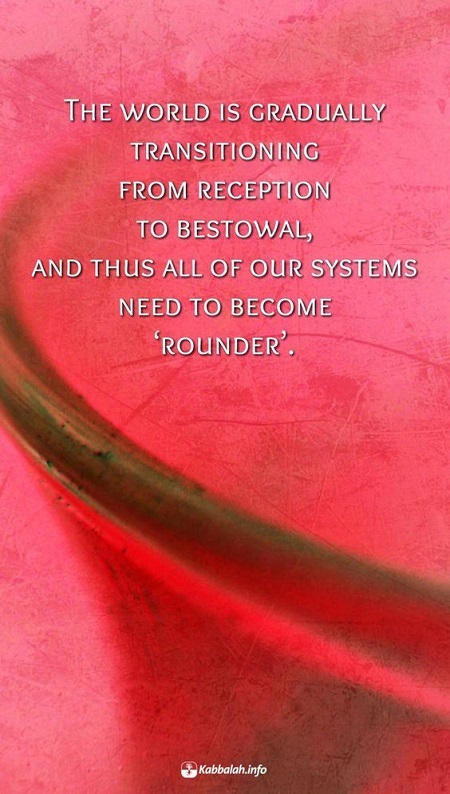 The world is gradually transitioning from reception to bestowal, & thus all of our systems need to become ’rounder’. If a person goes out to the nations of the world and organizes them in a circle, they take on a form that resembles the upper. This circle is made of several people (let’s say ten) who unite equally as each one sees the other as higher than himself. Our mission is to draw the nations of the world to such discussions and roundtables, and to bring them to the form of the upper, which means to the force of love and bestowal. We have to bring them as close as we can to the upper force, to bestowal, by making them resemble it. The more we expand this circle and create more identical circles that connect, the more the upper force can be revealed.